The composer Frederick Delius is often pictured as the blind, paralysed and caustic old man he eventually became. But in his youth he was tall, energetic, handsome and charming – not Frederick at all for most of his life, but Fritz. He was a contemporary of Elgar and Mahler, yet forged his own musical language, with which he always tried to capture the pleasure of the moment. Using evidence from his friend, the Australian composer Percy Grainger, who reported that Delius “practised immorality with puritanical stubbornness”, this film by John Bridcut explores the multiple contradictions of his colourful life. 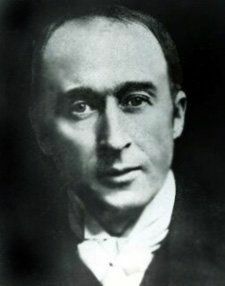 Delius has long been renowned for his depiction of the natural environment, with pieces such as On Hearing the First Cuckoo in Spring, yet his music is usually steeped in the sensuality and eroticism that he himself experienced. This feature-length documentary features specially-filmed performances by the widely-acclaimed Danish interpreters of Delius, the Aarhus Symphony Orchestra, conducted by Bo Holten, as well as the chamber choir, Schola Cantorum of Oxford, and the violinist Philippe Graffin.